Professor Hafiz T.A. Khan, Professor of Public Health, University of West London, UK visited YPSA on 1st January 2018 in Sitakund. He has visited YPSA’s Elderly people program, ENRICH House, Physiotherapy center, Radio Sagor Giri and attended meeting with YPSA staffs of Sitakund. Md. 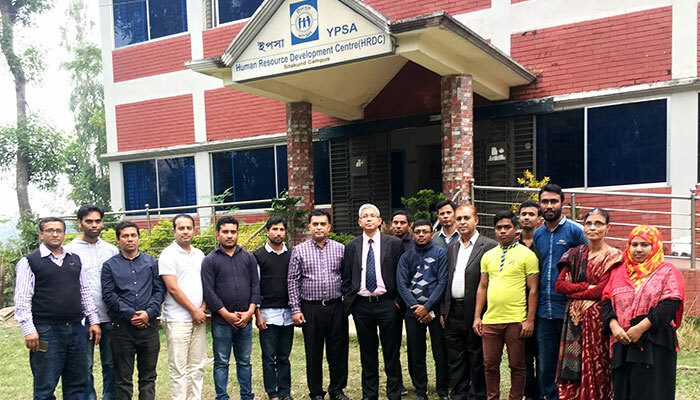 Arifur Rahman, Chief Executive of YPSA was present during their visit. During this visit Professor Hafiz T.A. 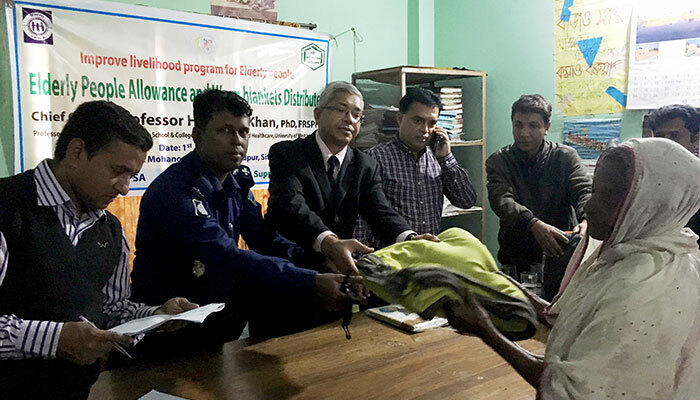 Khan has distributed warm blankets and elderly people allowance to poor elderly people. Professor Hafiz T.A. Khan has discussed the current situation of elderly people of Bangladesh and worldwide. He also discussed how the elderly people would work for ensuring their rights. YPSA will implement the program for the elderly people and that will be the role model in the community and rest of people will replicate the Sitakund model for improving the elderly people initiatives. 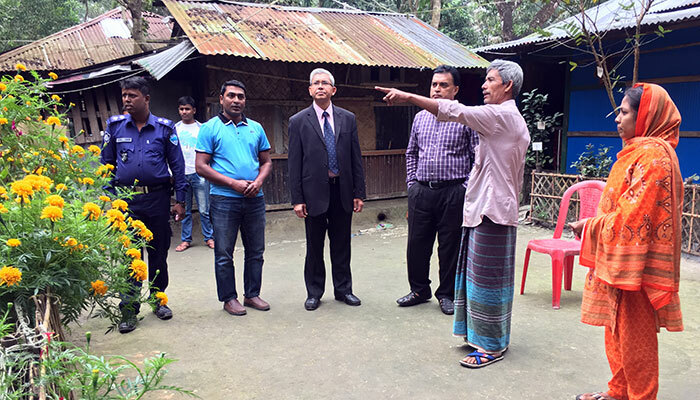 He said that, he was satisfied to visit YPSA activities of Sitakund and YPSA will integrate the elderly people activities into all of its initiatives. 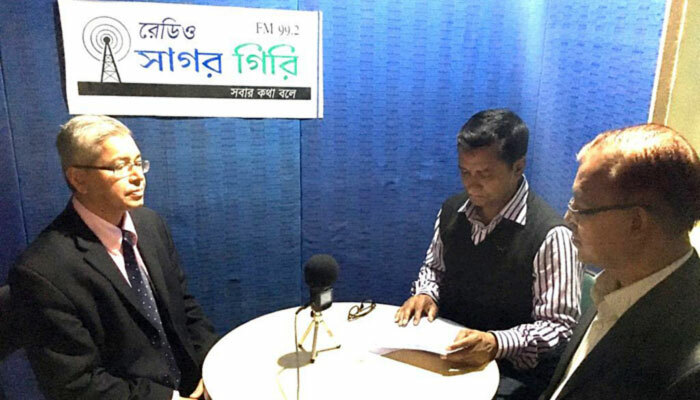 After the visit he gives an interview to the Radio sagor Giri FM 99.2.